As tennis players, we all know how frustrating the game can be. Most of us, at one time or another, probably haven’t been proud of how we acted on court, and more than likely, have let our emotions and mental toughness cost us at least one match in our careers. There are so many different aspects of the game that need to be in perfect control to play a perfect match. Your footwork and the technical aspects of your swing and game obviously come to mind as being critically important. However, if your mental game is off and you allow your opponent to get the mental edge in a match, none of the technical parts of your game matter. Tennis is played as much between-the-ears as it is between the sidelines. Don’t let your mental toughness (or weakness) cost you any more matches. 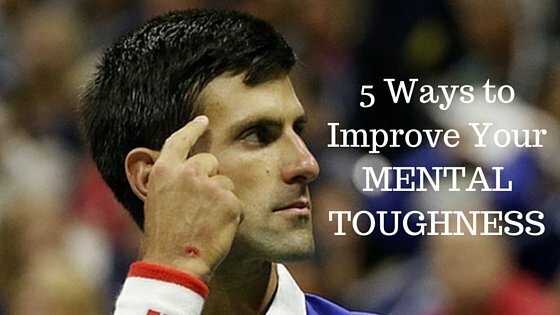 Here are some tips to help your mental toughness, allowing you to play your best tennis on the biggest points, and win more matches! 1. Forget about the results! This tip is very easy to say, and VERY difficult to actually implement. Nerves are a very natural thing on the court. And why do we get nervous? Nerves come from understanding the present situation on the court. Maybe you are nervous because you are down a break and love-30. Maybe you are nervous because you are on the brink of losing to someone you KNOW you should beat. There are any number of reasons why you are nervous before, or during, a point. The point here is, they are all related to the situation as it relates to the potential outcome of a match, not the actual act of playing tennis. So what can you do here? Forget about the outcome. Tell yourself that you truly do not care whether you win or lose. Tell yourself that until you believe it. Take a deep breath, and embrace the point ahead as just a single point. Whether you win or lose that point, do it again. Reset. Play an entire match of individual points. This is obviously much easier said than done, but the more you can stay in the moment, the less nerves you will feel, and the better tennis you will play! Bonus: Watch "Add 15 MPH To Your Forehand With This Simple Fix"
It’s easy to get angry on the court. Heck, it’s easy to become FURIOUS on the tennis court and feel like you are on the edge of losing control completely. You’ve watched a hothead (and maybe you have been one) who yells or smashes rackets after a bad point. Does that help them play better? Does it help their reputation? Of course it doesn’t (unless of course you are John McEnroe.) Whether you dump an easy volley in the net, or hit a forehand into the fence, try not to react. That is, don’t allow yourself to react before you compose yourself. It’s very easy to yell, or smash a racket immediately after one of the million different potentially infuriating misses there are in the course of a tennis match. Here’s a trick that’s guaranteed to help: Before you react after a bad shot, or any shot for that matter, take a few deep breaths before you do anything. Chances are, after you compose yourself for that second, you will realize an outburst or racket throw won’t do any good for you. In fact, it will almost always affect you and your grip on the match negatively. Not only will you keep your wits about you, but it will also help you move on from the bad miss and focus on what is most important: the next point. This is similar to forgetting about the results, but in more of a big-picture way. By forgetting about your results you are able to stay in the moment in any given point of any given match. 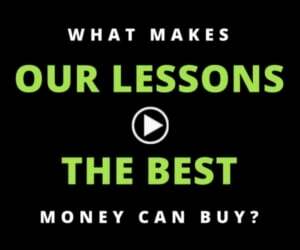 This theory is very popular among elite athletes, and is perfectly adaptable to the amateur tennis player. 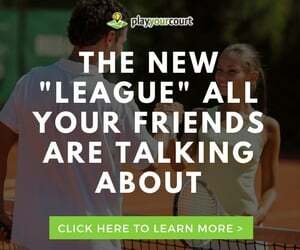 Begin viewing any match, or any tournament, on a much simpler level. Look at each match as an opportunity for you to get some feedback on how well you have been practicing and preparing. View each match or each tournament the same. Whether you are just sparring with your doubles partner, or are in the final of your club championship, try to minimize the importance of each match. This will level your emotions regardless of the situation, freeing yourself up to play your best tennis. Notice a theme here? Controlling your mental game is KEY to playing better tennis! You have probably heard this before. How you carry yourself has a direct correlation to how you actually feel. In tennis this is helpful in more than one way. Even when things are not going right, how you project yourself will not only help you to actually feel that way, but will also inevitably get in the head of your opponent. You may have just played a bad point, or a bad set, but if you still look as confident and carefree as you did before the first ball was struck, your opponent will likely think, “How is this guy/gal still so positive?” which can lead to a lapse in their concentration. Remember, you are engaged in not only a physical battle, but a mental one as well. You can still win the mental battle even if you are losing the physical one. Give it a try! Can your sleeping habits really affect your mental strength on the tennis court? Yes they can, and they do! The quality of your sleep and your sleep schedule affects your focus and control of your thoughts, emotions, coordination, reaction time and endurance. Do those things sound like they would be important during a tennis match? Of course they are! Get into better sleep habits. That means not only getting enough sleep, and good sleep, but also going to bed and waking up at the same time each day. Elite athletes will go to bed and wake up at the same time for at least three days before a match, if not a week, or always! Give this a shot, and you will give yourself an even better chance to play your best! Take these tips to the court and take control of your mental toughness. Do you have some other ideas about mental toughness? Let us know in the comments section! The worst thing a player can do when feeling nervous is to thing about any thing to try to make himself/herself feel better. The most powerful way to go about is by focusing on your physiology, specially in controlling the automatic system: breathing, muscle tension, body language, eye movement, etc. that is the key to deal with nervousness. The rest is an intelectual aprriach that sound logical but actually backfires. My 27 years of working with elite tennis players and a lot of research prove that an intelectual approach to deal with stress sound good but it doesn’t work. Tennis is a running game even more so then a hitting game. It take a few months of instruction and consistent practice to develop good strokes. It can take a lifetime if ever to master the footwork of tennis. Being aware of the need to move and go get the ball rather then waiting for the ball to come to you is key. Taking a split step before you hitand having your weight on the balls of your feet is my tip. My anger affected me on the court in different ways. Sometimes it helped me win and others it did not. Now that I look back I realize that all I cared was about winning and failed to recognize the direct damage of my reputation for getting wild and out of control angry. Call it maturity, call it stupidity, call it lack of professional guidance. It’s a very real problem and will always be in tennis at any level. I have a little girl who’s 8 years old and is a awesome talent. However her mental game is a disaster! Screams, throws racket etc. We will try these tips and see where it takes her. As a professional coach and ex tennis player I took pride in my mental toughness. So I’m very impatient when my players lack mental toughness. To me it came very natural. BUT it’s not natural for me to teach it! I always say, if something doesn’t give you positive results.. don’t do it!!! If you truly love to win, you WILL never let anything negative get in the way! Winners are positive!! RAFA NADAL greatest MENTAL GIANT our sport has ever seen! STUDY HIM!! Focus on the present. Focus on the things (goals) than you have to achieve during your match. And pay attention in your selftalk. Build a positive one. Sports psychologist and coach freelance. I sing a song in my head & concentrate on the lyrics more than the tennis. The song depends upon how I want to play; sometimes aggressive and other times mellow. Whatever helps you to relax.